A native Australian transplant to America by way of NYU’s film program, Nicole Alexander has worked as an award-winning director, producer, cinematographer, and editor across the film & television, live events, music, and music festival venues. 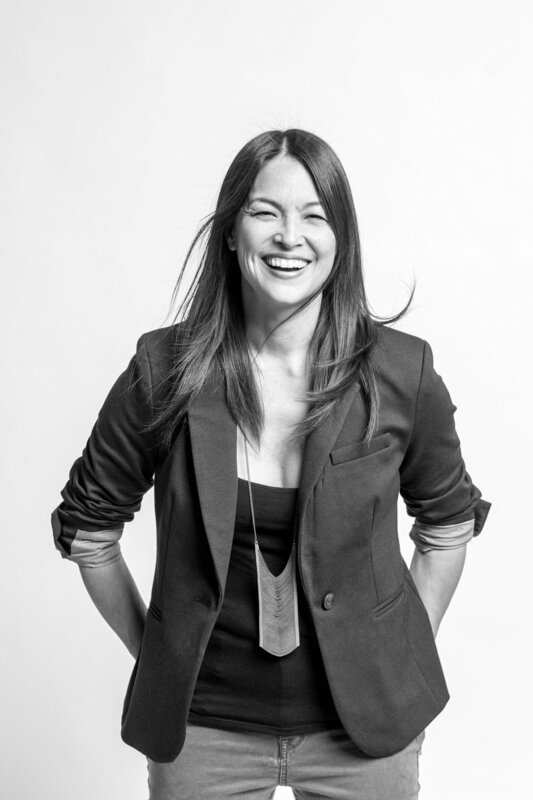 After spending several formative years as a creative-producer/director at MTV and 1iota, in 2016 she set up her solo production venture ‘Hashtag, You’re It’, where she directs, shoots, and edits multi-platform content for TV networks, production houses, agencies, brands, artists, and musicians. In addition to assisting with the launch of Instagram’s own video channel, she has directed and produced with YouTube, Comedy Central, NBC-Universal, ABC, Getty Entertainment, iHeart Radio, TLC, Ford, Snapchat, BMW Films, Red Bull, Google, Vevo, Delta, Coachella and a multitude of artists including DJ Khaled, Jay Z, Katy Perry, Coldplay, Lorde and more. She is a recipient of over 60 film festival awards for various projects in addition to a multiple Helpmann award winner. 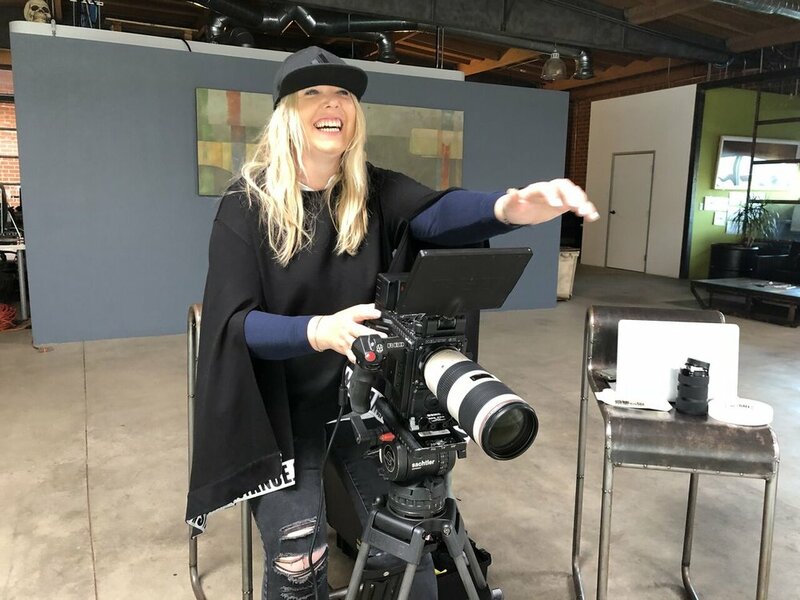 Stylistically as a director she has become known for her quirky use of split screens and transitions, dolly zooms, and moving gimbal shots that take the audience in a completely unexpected direction. As a former classically trained opera singer at the Sydney Conservatorium, it is quite apparent music and sound design are at the core of all the content she creates, specially her skills as a musician translating into her signature editing style. Nicole will make her feature film directorial debut in 2019 and has just finished producing, directing and shooting her first feature documentary Tiger Fish about the inspiring quadriplegic James Gribble, narrated by Dr Chris Brown. Hailed by critics and audiences alike, choreographer Aszure Barton has created works for Mikhail Baryshnikov, Alvin Ailey American Dance Theatre, American Ballet Theatre, The National Ballet of Canada, Nederlands Dans Theater, The Martha Graham Dance Company, Bayerisches Staatsballett, Sydney Dance Company, Houston Ballet, Hubbard Street Dance Chicago, BJM Danse Montréal (Resident Artist 05-08), among many others. She has led masterclasses, mentored and collaborated with renowned institutions including The Juilliard School, Harvard University, Canada’s National Ballet School, and The Laban Institute in London. William Briscoe began his dance training at the Repertory Dance Company of East Harlem at age 10. He went on to train at LaGuardia High School of Music and Art and Performing Arts, while also performing in Aida at the Metropolitan Opera House, Merce Cunningham Dance Center and later received his BFA from The Juilliard School in 2003. Upon graduation William became a leading member of Aszure Barton & Artists, where he currently still performs. He has performed with Mikhail Baryshnikov and Hell's Kitchen Dance. Toured with Robert Battle’s, Battleworks. He joined the abcdancecompany, in St. Polten, Austria and Geneva, Switzerland, working with various choreographers and director and choreographer, Nicolas Musin. He danced for Kyle Abraham/ A.I.M. He toured Italy with Alessandra Ferri’s Evolution tour in 2015. Breton Tyner-Bryan is a choreographer, director, performer and highly sought after teacher. She is the creator of and currently performing with Breton Follies, an evening length cabaret production company featured in Dance Magazine and at Jacob’s Pillow’s Inside/Out Festival. Recentworks includes “Heading East” starring BD Wong, “The Rite” and “Retrofactoy” for Theater C, "Cotton Candy and Cocaine" for New York Theater Barn, choreographic mentee under Sergio Trujillo for The Donna Summer musical on Broadway, Alan Brown's latest feature film, choreographic labs for "In the Heights" at Kennedy Center, Waitress (Broadway), Twelfth Night (Public Theater), and Encore's God Bless You Mr. Rosewater. She is a 2018 CUNY Artist in Residence awardee. Choreographic Commissions include, Westfest, BCBEAT, NYU, Marymount, AMDA, Montclair, New Jersey Dance Theater, Broadway Dance Center, Joffrey Ballet School, and performing alongside The Martha Graham Dance Company at its Benefit for Haiti. Breton has created installations for New York Fashion Week, The Pierre Taj Hotel, The Metropolitan Room, Madonna-Washington Square Park, Don Most from Happy Days, Sonas Denim Commercial, Jewels in the Square presented by Alonzo King LINES Ballet, Brigham Young University, award winning solos for Young Arts Miami, and Woodside Vaulters Equestrian international competitions. As ballet mistress for Sleep No More she has choreographed and performed for McKittrick Follies, and is currently ballet mistress for Ballet Hispanico. Film/Television credits include The Knick (HBO) Steven Soderbergh, Studio City (VICE), Manhattan Love Story (ABC), TEST Chris Mason Johnson, Stories from the Microchasm John Sanborn. Concert Dance credits include works by Marius Petipa, Kirk Peterson, Alonzo King, Robert Moses, Pontus Liedberg, Norbert De La Cruz III, Francesca Harper, Kathryn Luckstone, Enzo Celli, many dance theater companies, Hartford Ballet, and Utah Ballet. Breton has taught for New York University, Broadway Dance Center, Peridance, Joffrey Ballet School, The Place (London), Dance Base Scotland, San Francisco State University, LINES Ballet, and Complexions Contemporary Ballet. She holds a BFA in Ballet Performance from the University of Utah and received her training at the School of the Hartford Ballet. As a performer, choreographer, writer, and photographer her work has been featured in Pointe Magazine, Dance Informa Magazine, Broadway World, Oberon’s Grove, Huffington Post, the New York Times, and Curve Magazine. As a theatrical storyteller creating character driven works for stage, films, site specific experiences, and commercial projects, her work is comedic, in your face, celebratory, sensual, and elegant. Alexandra Damiani is a choreographer and artistic director based in New York. Originally from France, she combines the sophistication and attention to detail of her early classical training with the edginess of contemporary dance. During this past year, her work has been seen presented at the Joyce Theater (NY), the Schimmel Theater (NY) and the Modlin Center for the Arts (VA), and has been featured on a national TV commercial for Colgate, directed by Erez Sabag. Damiani was most recently the artistic director of Cedar Lake contemporary, which has been described by the New York Times as "possibly the country's most innovative contemporary ballet troupe with an A-list repertoire, and an accent on creation that few companies worldwide can match." During her decade-long tenure as ballet master and artistic director, Damiani worked closely with world renowned choreographers such as Sidi Larbi Cherkaoui, Stijn Celis, Alexander Ekman, Andonis Fionadakis, Jacopo Godani, Jill Johnson, Ohad Naharin, Crystal Pite, Hofesh Schecter, Richard Siegal, Jo Stromgren, Regina Van Berkel and Didy Veldman. In 2015, she created a dance installation on the themes of ritual and intimacy; it was performed by dancers of Cedar Lake Contemporary Ballet to a sold out audience in the company’s warehouse space (NY). Damiani has brought her expertise to the cinema, portraying the role of a Ballet Mistress along Natalie Portman and Mila Kunis in Darren Aronofsky’s Black Swan (2010). She was also a consultant to Benoit Swan Pouffer on his choreography for the film, Adjustment Bureau, directed by George Nolfi and starring Emily Blunt (2010). As a young dancer, Damiani won First Place at the International Dance Competition in Bordeaux and then Marseille, prompting her to move to New York to study at The Alvin Ailey School in 1995. During her fifteen-year-career, she performed as a soloist with Donald Byrd/The Group, Complexions, Les Ballets Jazz de Montreal, Rubberbandancegroup, and others. She performed extensively in North America, Europe and Asia. Combining her rich dance background with an enthusiasm for directing dancers and a flexibility with varying philosophies of movement, Damiani is frequently invited to conduct master classes in the U.S. and around the world with such dance institutions as the Juilliard School, Tisch School of the Arts at New York University, and Ballet Junior of Geneva, Switzerland. She is also an adjunct professor at Pace Commercial Dance program (NY). Damiani is now the Artistic Director of New York City Winter Intensive, held at The Juilliard School and produced by New York City Dance Alliance Foundation. It is a highly selective program that offers dancers from the convention world an insight into the works of international choreographers who are shaping the contemporary dance world. Damiani is also a teacher of ancient, sacred forms of qigong, taiji (classical Yang long form) and tai yin Jade Maiden, under the guidance of Sat Chuen Hon, master of the Dragon Gate Lineage. Alexander Ekman is an international choreographer/ director creating pieces for theatres, opera houses and museums. He also directs films and creates live performances/events in pop up locations around the world. Ekman has created and collaborated with around 45 dance companies worldwide including the Royal Swedish Ballet, Cullberg Ballet, Compañia Nacional de Danza Goteborg Ballet, Iceland Dance Company, Bern Ballet, Cedar Lake Contemporary Dance, Ballet de l’Opéra du Rhin, The Norwegian National Ballet, Boston Ballet, Royal Ballet of Flanders, Sydney Dance Company, The Royal Ballet of Denmark and Vienna Ballet. He has also created for festivals the French Europa Danse and the Athens International Dance Festival. In 2005, at the International Choreography Competition of Hannover, Ekman was awarded first prize by the critics, and won second prize with Swingle Sisters (one of the ballets from his Sisters trilogy). During 2011 Ekman also worked as a teacher/choreographer at the prestigious Juilliard School in New York City. Ekman’s 2010 work Cacti has become a worldwide hit and has been performed by 15 dance companies including Sydney Dance Company. The work was nominated for the Dutch Zwaan dance prize in 2010, the National Dance Award (UK) in 2012, and also for the prestigious British Olivier Award. In 2009 Ekman created the dance film 40 Meters Under for and with Cullberg Ballet, which was broadcasted on national Swedish television. That autumn he collaborated with the renowned Swedish choreographer Mats Ek on video projections for Ek’s play HållPlats. Ekman also created an installation for the Modern Museum in Stockholm with dancers of Cullberg Ballet. In 2012 he collaborated with Alicia Keys and incorporated her into his work Tuplet. In 2014 Ekman created his own version of Swan Lake, a new take on the most famous ballet of them all. A Swan Lake received enormous attention worldwide and returned to the Oslo Opera House in 2016. Ekman filled the stage with 6,000 litres of water creating a real lake on stage. A Swan Lake is available on DVD and the documentary Rare Birds by TM Rives shows the process of how it became possible to create a lake inside an opera house. In 2015 Ekman created his own version of A Midsummer Night’s Dream at the Royal Swedish Ballet. In September of that year he received the Swedish Medea Award for “Inventor and renewer”. In 2016, he received the German theatre award “Der Faust” for his ballet COW for the Semperoper Ballet. Jared Gertner is best known for playing Elder Cunningham in The Book of Mormon on Broadway, 1st National tour, and in London, where he received an Olivier Nomination for Best Lead Actor in a Musical. He’s also appeared on Broadway in The 25th Annual Putnam County Spelling Bee (Barfee), in the Off-Broadway premiere of Ordinary Days (Warren), and in regional theatres across the country. In LA, Jared created the roles of Al Dubin in the new musical, I Only Have Eyes For You, and Sidowsky in the world premiere of the play, The Dodgers, as well as playing Frank Lippencott in Wonderful Town at LA Opera. Television credits include: Mom, Modern Family, 2 Broke Girls, Supernatural, Superior Donuts, How I Met Your Mother, Marvel's Agent Carter, Ugly Betty, The Good Wife, and the popular Broadway themed web series, Submissions Only. Jared also starred in a television pilot for called How We Live for NBC/Universal. His voice can be heard as an adorable pug dog in the film, Pup Star, as a bunch of folks on American Dad and Family Guy, and in radio and television commercials. Jared is originally from The Jersey Shore (the place not the TV show). He is a graduate of NYU's Tisch School of the Arts. For 16 years, Mr Gertner has been teaching all over the country. He creates a fun and safe environment for artists to explore their craft. Ari Loeb, a native of Los Angeles, began dancing at age 9. He dedicated himself to the art of ballet, and eventually modern, until he joined MOMIX in 2002. Ari toured the world with MOMIX, Pilobolus, and Cirque du Soleil, from 2002-2009, performing in 30 countries, and over 350 cities. He then began working as a choreographer, doing TV shows, events, and operas in cities such as Stockholm, Rome, Barcelona, Los Angeles, Dubai, and New York. After joining the creative team of “Spider-Man: On Broadway”, Ari met some stunt performers that showed him the ways of Hollywood action. He moved back home to L.A. to pursue stunt performance, and since has been featured in shows like “Kong: Skull Island”, “The Walking Dead”, “Marvel’s The Defenders”, “KC Undercover”, and more. Now, Ari works in the stunt industry, doing martial arts, riding wires, sliding cars, and falling down repeatedly. He lives in Atlanta with his cat, Lejon. Ana Maria Lucaciu was born in Bucharest, Romania. After graduating from the National Ballet School of Canada she joined Canada’s National Ballet and went on to dance with the Royal Danish Ballet, Augsburg Ballet (Germany), The Portuguese Contemporary Dance Company (Lisbon) and most recently, Cedar Lake Contemporary Ballet in New York, where she danced for seven years. Lucaciu has performed and created works with contemporary dance's foremost choreographers, including Ohad Naharin, Crystal Pite, Hofesh Shechter, Jiří Kylián, Alexander Ekman, Jo Stromgren, Sidi Larbi Cherkaoui, and many others. Holder of a BFA in dance from Empire State College, she collaborates and performs with a wide range of artists and companies, and freelances as a dancer and choreographer in her own right. Ana Maria teaches ballet, contemporary, and improvisation workshops at proffessional programs and dance companies across the US and Europe. Hailing from London UK, Del Mak is an Award Winning Choreographer, Creative Director and Judge establishing himself as a significant force in direction and choreography. Del has worked with established artists/actors/directors including Oscar nominated and Grammy Award winning talent. Highly respected for his vast knowledge of dance and movement, he is recognised for his innovative approach to creative movement in numerous mediums including Music, Fashion, Theatre, Award Shows, Live Events, Television and Film. Del’s choreography has been internationally endorsed by the likes of Madonna with his debut short film ‘Shift’ awarded by the pop superstar as a winning submission for her #ArtForFreedom Campaign, as well as winning at the New York Independent Film Festival, the InShadow Festival, the Reel 13 Short Film Contest, and achieving Official Selections at over 15 International Film Festivals. Del received a 2014 World Dance Award nomination, at the Hollywood award ceremony which honours the world’s top choreographers. Del has choreographed for artists such as The Chemical Brothers, Franz Ferdinand + Sparks, M.I.A, Timbaland, Snarky Puppy’s Bill Laurance, McFly, Elbow and Melody Gardot, and created performances for live broadcasted major award ceremonies/shows including the Nickelodeon Kids’ Choice Awards, African Music Awards, UK Asian Music Awards and the Hello Kitty Live World Tour. He has been a Creative and Performance Choreographer on UK’s biggest live TV Dance show Sky TV’s Got To Dance and choreographed key commercial campaigns for Nike, L’Oreal, Pizza Hut, BMW Mini, MTV, Footlocker, Barclays, Cadbury and Adidas. Del draws experience from his illustrious performance career which has included working with renowned artists such as Beyonce, Gwen Stefani, Lady GaGa, Leona Lewis, Jessie J, One Direction, Alexandra Burke and Pet Shop Boys, at the London 2012 Olympic Games, award shows including the MTV Europe Awards, Brit Awards, appeared on TV/DVD on The X Factor, Strictly Come Dancing (UK's DWTS) and the Step Up Dance Workout. As an instructor, Del loves sharing his knowledge having travelled the world facilitating workshops and masterclasses at prestigious studios, companies, schools and gyms, including Edge Performing Arts Center (Los Angeles), Millenium Dance Complex (Las Vegas), Peridance (New York), Pineapple Studios (London), Studio 68 (London), Culture Shock (San Diego, New York, Canada and UK), and in countries such as Canada, Mexico, Denmark, Greece, Ireland, Romania, Thailand, Peru and Malaysia. Cheryl Mann came to Los Angeles two years ago after two decades of dancing & photographing in Chicago. Mann began her professional career at the age of 17, dancing at Walt Disney World in Orlando, FL, and received a B.A. in dance from Point Park College, in Pittsburgh, PA. She performed with the Civic Light Opera in South Pacific as “Liat” under the direction of Robby Marshall in Pittsburgh. Upon moving to Chicago, she danced with River North Chicago Dance Company before joining Hubbard Street Dance Chicago. Fulfilling her childhood dream of becoming a Hubbard Street dancer in May of 1997, Cheryl has been fortunate in her career to travel to and perform in 17 countries, as well as countless cities in the U.S. Cheryl danced with Hubbard Street for over a decade and retired in October 2007. She served as the Artistic Associate of Visceral Dance Chicago until she moved to LA to become the Executive Director of Ate9 Dance Company. She is the owner of Cheryl Mann Productions, where she has traveled the world setting dance works for world renown choreographers such as Ohad Naharin, Toru Shimazaki, Alejandro Cerrudo, & Danny Ezralow. She is also the official photographer for Joffrey Ballet Chicago, and has shot for Hubbard Street Dance Chicago, River North Dance Chicago, Ballet Hispanico, Chicago Dancing Festival, LA Dance Festival, Visceral Dance Chicago, Ate9, amongst many more. Most recently, Cheryl was on the creative team for NBCUniversal’s Little Big Shots featuring Steve Harvey, and was the Associate Choreographer of Willy Wonka and the Chocolate Factory Live at the Hollywood Bowl. She also had the pleasure of casting and choreographing Moby’s latest music video “Motherless Child”. Cheryl is extremely happy to return to the Axis Connect team in their 3rd year of all things awesome. Born Craig Arthur Henningsen in Winfield, Illinois on August 20, 1987 to parents Peter and Carly Henningsen. At a young age, the parents separated leaving Craig and older brother, Christian to live with the father. While Peter worked several jobs as a single parent, Craig went to a neighborhood babysitter, where he sparked an interest in martial arts from the black belt sitter. Craig started taking classes at Sharkey's Karate in Naperville, Illinois learning from world class instructors John Sharkey and Matt Mullins. Known by his peers to be competitive and tenacious, Craig trained everyday to reach greatness in the martial art world. Over the course of his competitive youth tours, he holds three world and thirty five national titles, two ESPN ISKA (International Sport Karate Association) Championships and unconverted three back-to-back AKA (American Karate Association) Warrior Cup wins. He is a second degree black belt in Shorei-Ryu karate. During this time, Craig began his career in the entertainment industry. He was discovered by Jackie Chan's manager in the Emmy Award winning Discovery Channel documentary XMA: Xtreme Martial Arts Balancing school and his acting training, Craig traveled back and forth from Chicago to Los Angeles meeting with Hollywood's top producers. Under his manager's guidance, they met with John Woo , 'Lorenzo Di Bonaventura' , Lawrence Bender , and Neal H. Moritz to create a vehicle for the next action star. With the history of action franchises and introducing young actors, Craig landed a development deal with New Line Cinema and producer Mark Ordesky. . Screenwriter, Bob Soderstrom wrote an action thriller called South Halsted, attached with Craig as the led. Ultimately the script was not picked up by the studio. Austin McCormick’s work has been presented at the Kennedy Center, LA MAMMA, Symphony Space, The Flea, Alvin Ailey Theater, Walter Reade Theater, Mark Morris Dance Center- and internationally in London, Mexico, Scotland, and Montreal. His work has been seen at the TED Conference, on Logo’s New Now Next Awards, and TLC’s The Cake Boss. He is the Founder, Choreographer, and Artistic Director of COMPANY XIV. Austin was the winner of the 2011 Robert L.B. Tobin Director-Designer Grant from Opera America for new Directors in Opera. He was the winner of the 2010 New York Innovative Theatre Award for Best Choreography. Austin was named one of the most Beautiful People of 2011 by Paper Magazine and as a NY Style Icon by Time Out NY. He was the first winner of the Susan Braun grant award from Dance Films Association, his films have toured internationally to Amsterdam, London, Budapest, Latvia, and France. His short film was nominated for the Grand Jury Prize at the Dance on Camera Festival Lincoln Center. Austin holds a BFA from the Juilliard School and is a graduate of The Conservatory of Baroque Dance. He is an alumnus of the Harid Conservatory and North Carolina School of the Arts. In addition to performing in his own choreography, McCormick has danced professionally for the Metropolitan Opera Ballet of New York, and has taught and lectured on Baroque dance as a guest of the Korean Government in Seoul. He is currently pursuing a Masters degree from NYU. Julie McDonald is co-owner of McDonald Selznick Associates (MSA). She is the pioneer in the field of dance and choreography representation, having formed the first talent agency in 1985 devoted exclusively to dance. While breaking ground by representing her clients across all mediums of entertainment, she became an advocate for better terms and working conditions for dancers and choreographers and devoted herself to raising the visibility of the art and craft of commercial dance and especially choreography. In 2000 she and Tony Selznick formed McDonald Selznick Associates. (MSA). Their clients represent a who's who in the world of dance and have been nominated for or have won numerous Emmy, Tony, and MTV awards. MSA clients have directed and/or choreographed Las Vegas spectacles, Broadway productions, television prime time dramas and sitcoms, every awards show including the Emmy, Grammy, and Oscar Awards, and numerous films spanning the past three decades. 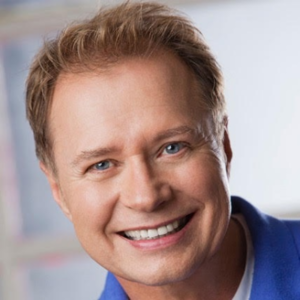 Vincent Paterson is a world-renowned director and choreographer whose career spans just about every genre of the entertainment industry including film, theatre, Broadway, concert tours, opera, music videos, television and commercials. Vincent is the Director, Writer, and Co-Choreographer of Cirque du Soleil's, VIVA! ELVIS, which ran in Las Vegas for over 1,000 performances. As a director and choreographer, Vincent created many works for Madonna and Michael Jackson including Madonna's BLOND AMBITION TOUR, and her legendary Marie Antoinette Vogue performance for MTV and the choreography for her videos EXPRESS YOURSELF and VOGUE. For Michael Jackson, with whom he worked for over 15 years, Vincent created the BAD TOUR as well as SMOOTH CRIMINAL and BLOOD ON THE DANCE FLOOR and multiple other Jackson music videos and live performances, from the Grammy Awards to the Superbowl Halftime Show. Vincent directed and choreographed the musical sequences in Lars Von Trier's, DANCER IN THE DARK. Among the many films he choreographed are THE BIRDCAGE and CLOSER for director Mike Nichols, EVITA for director Alan Parker, HOOK for Steven Spielberg. Vincent received a Tony nomination for choreographing Hal Prince's KISS OF THE SPIDERWOMAN. He has directed commercials through DarkLight Pictures and has choreographed several hundred commercials, many winning awards in collaboration with director, Joe Pytka. Vincent directed the sold-out LOVING THE SILENT TEARS at LA’s Shrine Auditorium featuring a cast of international stars. He has also directed many charitable events, among them 3 star-studded benefits for Alzheimer's Organization. Each evening presented highlights from Broadway musicals and starred luminaries from Broadway and hit TV series. He also directed 2 stellar benefits for APLA, featuring performers Madonna, Liza Minnelli, Barbra Streisand, Johnny Mathis, Kenny Logins, Nathalie Cole, Billy Joel, Elton John, Patty Austin, Sarah Brightman, Wynona Judd, Eddie Van Halen, and Sheila E.
Vincent is featured in the best selling, Smithsonian publication, Masters of Movement: Portrait's of America's Greatest Choreographers. The Swedish documentary about Vincent's life and career, THE MAN BEHIND THE THRONE, has been airing on TV internationally as well as at film festivals where it has won several awards. He is presently directing and choreographing a new visual interpretation of the musical, EVITA at the Ronacher Theater in Vienna, is in development on a theatrical musical version of Lars Von Trier's DANCER IN THE DARK, and is writing his autobiography. Jenn Freeman, Artistic Director of Freemove Dance, is an American choreographer, dancer, and educator based in New York City. Jenn's choreography has been commissioned by Marymount Manhattan College, Wayne State University, BYU, and The University of Texas at Austin (piece was nominated for a 2018 Austin Critics Table Award and presented at the Kennedy Center for the ACDA National Festival). Her works have been presented in NYC at The Reverb Dance Festival, The 14th Street Y Cabaret, and The Young Choreographer’s Festival (Guest Artist). In 2017 she was a finalist in both Division I and II at the McCallum Theatre Choreography Festival. 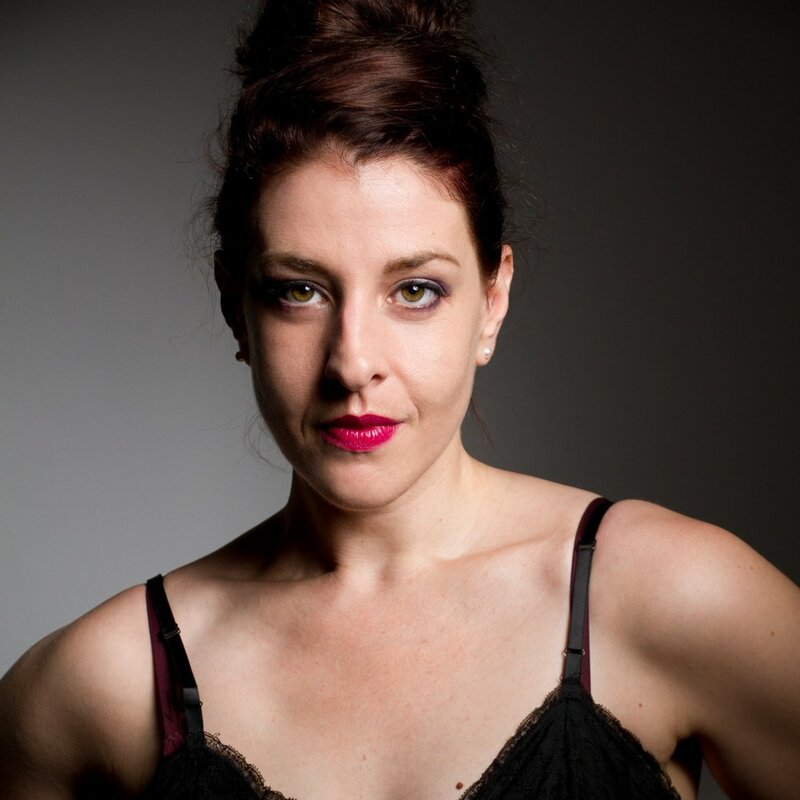 With over a decade of commercial dance experience, Jenn has worked alongside internationally recognized choreographers in the development of pieces and large scale productions for: Florence and the Machine, Madonna, The X-Factor, Target, The Brit Awards, Cirque du Soleil, The Martha Graham Dance Company (Tayeh Variation), LA Ballet (Beneath One’s Dignity), SYTYCD, Encores! Off-Center at NY City Center (The Wild Party), and Classic Stage Company (Iphigenia in Aulis). Most recently she choreographed JJ Lin's performance for the 29th Annual Golden MelodyAwards in Taipei, featuring Peiju Chien-Pott. Music Video choreography credits include: Avan Lava’s Wanna Live, directed by Alexander Hammer. Professionally, Jenn has danced in works by choreographers: Sonya Tayeh (you'll still call me by name and others), Mia Michaels, Kyle Abraham (Abraham.in.Motion), Larry Keigwin (Keigwin and Co.), Charlotte Boye-Christensen (NOW-ID), Brook Notary (The Pulse Project), Mark Swanhart, Danielle Flora, and many others. Jenn has appeared in live performances for Target, The MTV Video Music Awards, The Jimmy Fallon Show, Comedy Central’s“The Comedy Awards”, and The Rolling Stone's 50th Anniversary Tour. Jenn is an internationally recognized educator. Her unique teaching style can be experienced across the U.S. at Revive Dance Convention, The Dance Sessions, and Wintermove Dance Intensive. She also frequently appears as a guest/master teacher at Peridance Capezio Center in NYC. Graduate NYU TISCH. Jermaine Maurice Spivey was born in Baltimore, Maryland USA and is a graduate of Baltimore School for the Arts and The Juilliard School. From 2002-present, Jermaine has lived and worked predominately in Europe but recently returned to make his home base in USA. He has been a company member of Ballet Gulbenkian and Cullberg Ballet, worked as a freelance/guest artist for Hofesh Shechter Company, Robyn Live 2016, The LID, Arias Company and The Forsythe Company from 2013-2015 as well as a cast member of American Repertory Theater's original production The Shape She Makesconceived by Susan Misner and Jonathan Bernstein. Most consistently since 2008, Jermaine has been a member of Crystal Pite's company Kidd Pivot. He has also worked as rehearsal assistant and/or staged Crystal Pite's work for companies such as Cedar Lake Ballet, Carte Blanche, Hessisches StaatsBallett Wiesbaden and Netherlands Dance Theater. Jermaine has instructed dance all across North America and Europe for professional companies, universities, studios and training programs including The Juilliard School, UCLA, NYU Tisch, Baltimore School for the Arts, LA Dance Project, The Performing Arts Project, MOVE NYC, No)one. Art House, Nuova Officina Della Danza, Dance OUT, Salt Contemporary Dance and GöteborgsOperans Danskompani. He is a 2001 Princess Grace Awardee and a 1998 National Foundation for the Advancement of the Arts 1st Level Awardee. At this moment in his career, Jermaine is very grateful for the opportunity to explore choreography, having most recently created for Westside Dance Project, Salt Contemporary Dance as well as a full evening work premiered at Disjecta in Portland, Oregon with his partner and co-creator Spenser Theberge titled Rather This Then. 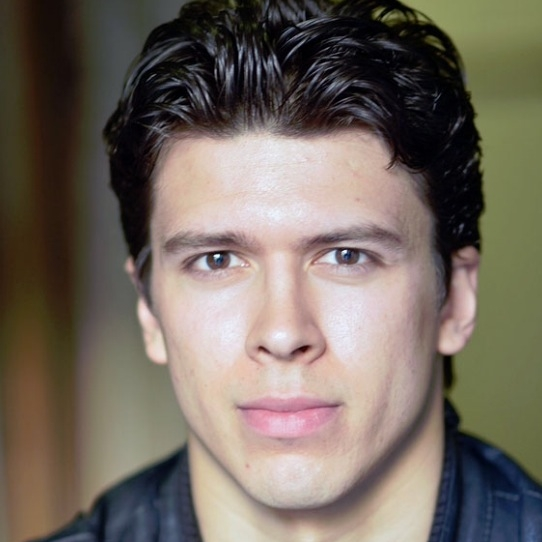 Jon Rua can currently be seen as Patchy the Pirate in the Broadway Production of SpongeBob Squarepants. The fourth Broadway show under his belt, as an Actor, Rua originated the role of ‘Charles Lee’ in the Tony & Grammy Award Winning hit musical ‘Hamilton’ where he also served as the Hamilton Standby. Additional Broadway credits include ‘Hands on a Hardbody’ and ‘In The Heights’. Other theater credits include, “Somewhere” at the Old Globe in 2011 where he was nominated for a Craig Noel Award for Outstanding Lead Actor in a Play; 2014 play “Kung Fu” at the Signature Theater; 2010 play “Elaborate Entrance of Chad Deity” at Second Stage Theater. On the screen, Rua has appeared on “Blue Bloods”, “Law & Order”, and films such as “Fall to Rise”, First Reformed”, and “ Isn’t It Romantic”. Wearing many hats, Rua is also the Assistant Choreographer for Broadway’s SpongeBob Squarepants, and is a contributing choreographer for such productions as: Hamilton, On Your Feet, Flashdance, Bring It On The Musical, and Hands on a Hardbody. As a Choreographer, his work has taken flight on the PHISH 2013 fall tour; The Muny’s Aida & Jesus Christ Superstar, the largest outdoor theater in America; and Rua served as an Assistant Choreographer for Rebel Wilson’s upcoming film, “Isn’t It Romantic”. Rua, originally hailing from New Jersey, graduated Rutgers University with a B.A. in Communication + Public Relations before heading to New York, where he now resides and creates. Born in Miami, Florida, Craig Salstein began his training at the Ballet Academy of Miami at the age of eight and continued his training with the Miami City Ballet. In 1995, he was the Grand Champion of Ed McMahon’s Star Search. Salstein joined American Ballet Theatre’s Studio Company in 2000 and joined the main company in April 2002, and in 2007 was promoted to soloist. He is also one of a set of triplets. Salstein’s repertory with the Company includes Mercutio in Romeo and Juliet, the Bronze Idol and the Head Fakir in La Bayadère, Birbanto in Le Corsaire, Gamache in Don Quixote, Puck in The Dream, the first sailor in ancy Free, the peasant pas de deux and Hillarion in Giselle, the Champion Roper in Rodeo, the Neapolitan Dance inSwan Lake, Eros and in Sylvia, the Devil in Three Virgins and a Devil and leading roles in Drink To Me Only With Thine Eyes, Gong, In The Upper Room, Sinfonietta and Symphonic Variations. He is currently in the ensemble and dance captain of the revival of Rodgers and Hammerstein’s Carousel on Broadway. Ahmad Simmons is currently appearing in the Broadway revival of Carousel featuring the Tony Award winning choreography of Justin Peck. He was previously seen in the role of Alonzo in the revival of Cats choreographed by Andy Blankenbuehler. Recent credits include the ABC TV remake of "Dirty Dancing". A graduate of Point Park University, he has toured Russia, Germany, Luxembourg, Switzerland, and all over the U.S as a dancer with Parsons Dance Company, River North Dance Chicago, and Eisenhower Dance. As a choreographer, Ahmad has created works for DanceWorks Chicago, Thodos Dance Chicago, Eisenhower Dance, and Visceral Dance Chicago. In addition to concert dance he's spent summer performing with the Pittsburgh Civic Light Opera, where he received the Julia Deberson Award for his work in Hairspray, The Producers, Curtains, White Christmas, and Cats. His passion for teaching young professionals has led former students to the Juilliard School, University of Michigan, Point Park University and Marymount Manhattan. Since moving to LA in 2005, Testa has been an Artistic Director for THE VOICE UK, NICKI MINAJ (AMA’s), ONE DIRECTION (SNL), KYLIE MINOGUE's "APHRODITE" World Tour, Kpop's "EXO” Lost Planet World Tour, & 2 Installations for the LACMA MUSEUM. He has Choreographed for JANET JACKSON, JLO, ARIANA GRANDE, BRITNEY SPEARS, DEMI LOVATO, VERSACE, 2 shows for FRANCO DRAGONE, & with MJ on his final project, THIS IS IT. Most recently he Co - Choreographed both the remake of THE ROCKY HORROR PICTURE SHOW and DESCENDANTS 2 (in post-production) with mentor & director Kenny Ortega. Aside from his work in the Pop Industry, Testa's Creative Activism has lead him to Direct a documentary for MOVE THE WORLD & to stand behind non-profits such as CREATIVE VISIONS, THE WOODEN FLOOR, THE PAINTED TURTLE, & CREATIVITY HEALS. He was a Guest Speaker for TEDx Palisades, where he used dance to raise awareness about the effects of over-fishing. Tony Testa grew up training in Tap, Ballet, Jazz, Contemporary, Partnering, Break-Dance, & Hip-Hop in his hometown of Fort Collins, CO.
Alan Wray Tudyk is an American actor and voice artist known for his roles as Hoban "Wash" Washburne in the television series Firefly and movie Serenity, Alpha in the science fiction TV series Dollhouse, Tucker McGee in Tucker & Dale vs. Evil, Steve the Pirate in DodgeBall: A True Underdog Story and Wat in A Knight's Tale. He also co-starred on the ABC sitcom Suburgatory. He had a supporting role in the film 42 as baseball manager Ben Chapman and voiced significant roles in Walt Disney Animation Studios' Wreck-It Ralph, Frozen, Big Hero 6, Moana and Zootopia. 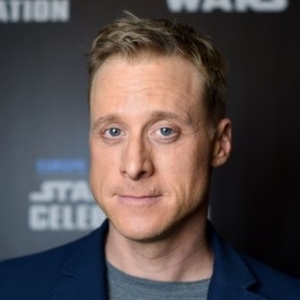 Most recently, he produced, directed, wrote and starred in the web series Conman, and plays K2SO in Star Wars: Rogue One. He also co-stars in the NBC sitcom series Powerless with Vanessa Hudgens. Jim Vincent is currently a freelance artist, dance-maker & creative consultant. He has more than 35 years of entertainment & cultural experience through his work in theater, opera, music, contemporary dance, choreography, special events & site-specific installations. From 2012 to 2017 he was an Imagineer & Executive Creative Director with the Walt Disney Company – Creative Entertainment, primarily responsible for the Tokyo and Hong Kong portfolios. He also collaborated extensively with the R & D division on new forms of live entertainment including mixed reality and projection experiences. Early in his career he resided & worked in Europe for more than 25 years, during which time he was a dancer, rehearsal director and choreographer with the Nederlands Dans Theater and held key positions at the Royal Conservatory of The Hague (Holland), National Opera of Lyon (France) and Compañia Nacional de Danza (Spain). Throughout his career he has worked extensively with Jiri Kylian, Nacho Duato, William Forsythe, Mats Ek and Ohad Naharin. In 2000 he returned to the US become the Artistic Director of Hubbard Street Dance Chicago. He was then invited back to Holland in 2009 and appointed Artistic Director of the Nederlands Dans Theater through 2012. As a dance-maker he created works for NDT I, NDT II, Hubbard Street Dance Chicago, Bern Ballett (Switzerland) and established collaborations with the Chicago Symphony Orchestra, Los Angeles Philharmonic Orchestra, St Louis Symphony, the Illinois Institute of Technology – Architecture Division as well as HSDC residencies at the Museum of Contemporary Art and the Art Institute of Chicago. Vincent is an alumnus of the University of North Carolina School of the Arts and currently a member of the University of Southern California – Kaufman School of Dance Board of Councilors.